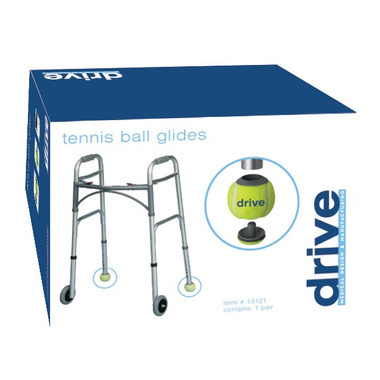 Drive Medical Tennis Ball Box Set provides a quiet, smooth and durable glide experience when used with a walker. Easy and safe to install. Lasts longer than plastic glide cap.